Warm Your Meal Without a Microwave. If you’re anything like me, you may notice that food warmed in a microwave tastes different than it would have had it been warmed in an oven or on a stovetop. Do a little digging on the internet, and you’ll find I'm not alone. 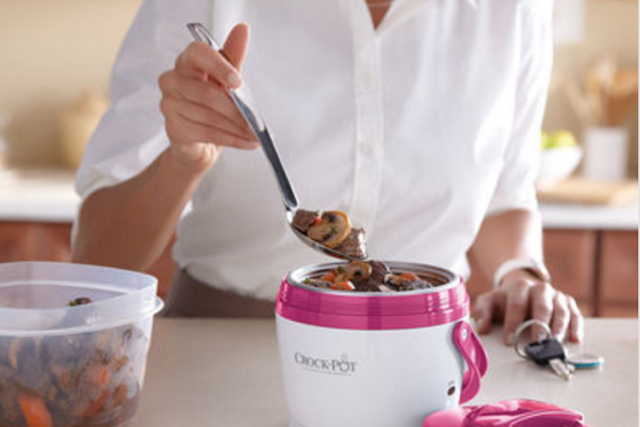 The reason has something to do with the way the microwave warms the water content in food and essentially “steams it from the inside out.” Whether you, too, are over the flavor of the microwave or you simply can’t bear to eat another microwaveable meal at work, these mini Crock-Pots are here to save the day. To use, leave the warming base at work (or school, or wherever you want to warm your food). Bring the dishwasher-safe food container home, and fill it with your favorite leftovers, soup, stew or even oatmeal. Once connected to the base, your food will warm gradually over time. One user recommends buying a couple food containers to ensure you have one at the ready while the other goes through the dishwasher cycle. 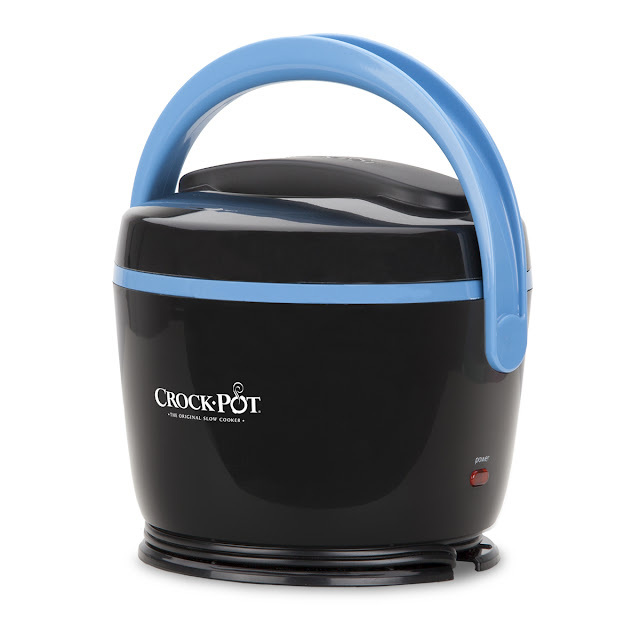 You can buy these mini Crock-Pots on Amazon for $17.99-$24.99 (depending on the color you prefer). Given mine and my children's exceptional taste buds, you can bet I’ll be ordering one of these for all our very particular reheating needs at home!